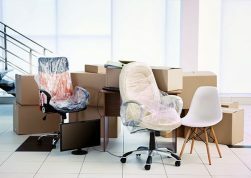 Hiring a Moving Company vs. DIY - MoveStar Inc.
Do you have the room in your budget to hire a professional mover? People don’t always think about the cost of these services when budgeting for a move. Think about whether you have the room in your budget to allow for hiring help, or if you need to save your funds for other moving expenses. Do you have a lot of items? 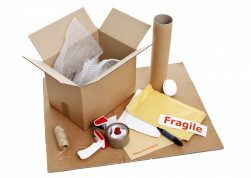 Are your possessions fragile or otherwise difficult to pack and move? If so, you may want to hire a professional to help you move it safely. However, some homeowners may actually prefer not to hire an outside professional for this exact reason. If your possessions are irreplaceable, you might not want someone else handling them. It’s all in what you’re comfortable with! Are you moving large, heavy items up many flights of stairs? What about maneuvering around tight corners or over treacherous ground on your new home’s property? These factors may not dissuade you from choosing your dream home, but they certainly make moving more difficult. If your move is harder than you can handle on your own, it’s probably a good idea to call a professional. You may also want to think about whether you have help or not. Many people can call up friends or relatives to help with their move, but not everyone has that luxury. If you need help, it’s okay to call for a pro! If you feel like you need more help with your move, you can contact the qualified professionals at MoveStar. As the leading moving company in the Dallas-Fort Worth area, you can trust MoveStar to help you with every step of the moving process, from planning and packing to executing the perfect moving day. Contact us today to learn more and get a free quote!